Last February 19, 2012 I along with fellow CDObloggers attended the Culinary Institute in Cagayan de Oro Open House. This is actually my second time to visit CIC because I have also been invited to the All You Want Bars! Pastry Workshop of Chef Hasset go. Finally, the workshop started. We were given the menu of each 4 cakes to be baked; Caramel Custard Cake, Concorde, Purple-Jackfruit Cake and Chocolate Truffle Cake. Since the baking is long we were able to witness the baking demo for Caramel Custard Cake and Chocolate Truffle Cake because the other half resume on the afternoon. Its really fun and interesting learning on how to bake cakes. I myself would love to learn more of it because I want to bake and decorate it according to my taste. However, I opted for the international cuisine workshop this summer because I wanna learn cooking delicious cuisines from different parts of the world first. That 2 workshops I have attended in CIC, hype up my interest and inspired me to really pursue cooking and baking class. 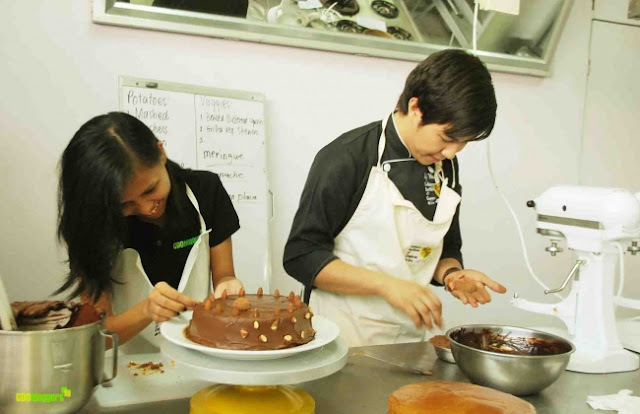 Watching and listening to Chef Hasset Go made it more inspiring because he started young on the pastry industry which dubbed him the youngest pastry chef in the country. Other than that, because of he knows how to cook different delicious food and he bakes pastries and sweets he found a career and eventually build his own business. And of course not to mention his good-looking features (you guys know what I mean. :D) which every girls weakness is already inspiring because you will be seeing Chef Hasset at CIC as one of the instructors.